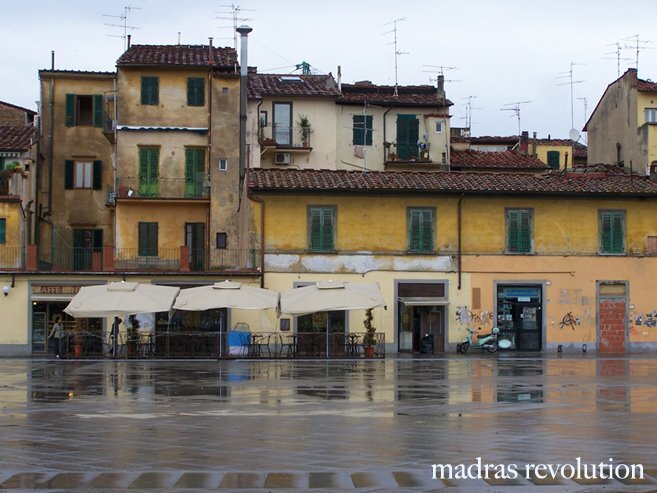 Madras Revolution: The missing link. For years and years and years I have wondered, "Oh where, oh where, did my artistic 'abilities' come from?" 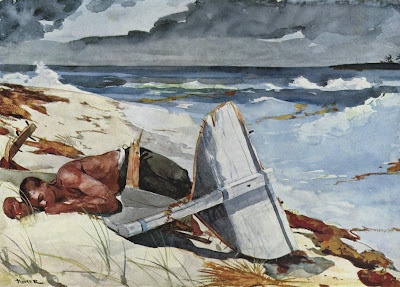 Well, today my Mom relocated from the upstairs couch to the downstairs couch (she is recovering from surgery) and turned on the TV to a Winslow Homer documentary. I have always been a fan of Homer--probably because he is such a magnificent watercolorist (ahem, I LOVE watercolor), and he was able to create great and substantial work in this somewhat neglected medium (FYI: in my opinion bigger is not better, and painting in oil does not make your work more meaningful. Sorry). Anyway...after watching for about two seconds my Mom said, "Hey, I'm related to him! 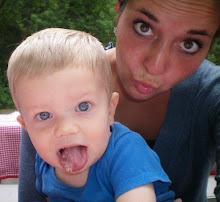 You know you are related to him, right?" Um, HELLO! I had NO IDEA! And I am so excited because I feel like my insatiable watercolor/American landscape tendencies/cravings make a lot more sense. Also, my love for Homer makes so much more sense now...and my Mom's name also...doesn't make more sense...but is suddenly cooler. you are related to homer... hmm... and watercolor... hmm... I totally agree with you about bigger is not better but i don't know about the whole watercolor is better... ha ha just kidding. I do oil and don't have the patient to learn watercolor. However, I totally admire those who can watercolor well. I tip my hat to you. Missy I LOVE it. What a perfect connection..it makes so much sense! but oils are still, like, cooler... right?